Vprašanja, Vaši projekti Blynk - pomoč, Ideje in rešitve na platformi Blynk. Branje katerega koli senzorja, nadzor katerega koli hardvera. The short here is SLO Wich does not exist, referring to the ISO standard. Next to the SLO term, there is a flag of Slovakia or Slovak republic, but this announcement wich I am replying to, is translated to Slovenia language rather than Slovakia language. 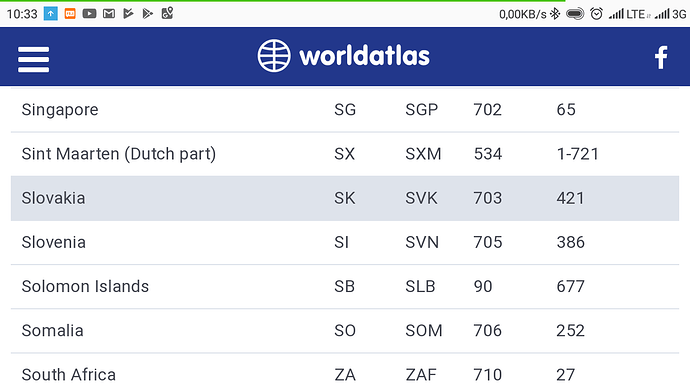 So I suggest you to change this category name to short SK or SVK according to ISO, keep the flag, move this translation over to the Slovenia category and I can translate for you announcement to correct language (slovenčina). Side note as I am not as active as others, coul I be moderator pls? If not nevermind. Thank you.